If you use the Alt+W (Maximize Viewport toggle) as much as I do, you'll know that it's the greatest keyboard shortcut for Max. You'll also find that it's very frustrating when you have an Editable Mesh selected. This scenario happens often because I like to select my mesh in one view, then toggle viewports and hit Z so I don't have to "find" the mesh again in the new view. This was bugging me for a long time, and took me a while to figure out what the deal was. Alt+W always works unless you have an Editable Mesh selected and you have the Modify tab selected (which is the tab that I have selected most of the time when working in max). If you have any other tab selected (Create, Hierarchy, Motion, Display, Utilities) it works fine. So if you are wanting to quickly toggle your viewport with a Mesh selected, just remember to select a different tab before you Alt+W. As someone pointed out, the Keyboard Override button will toggle between using the same shortcuts for Max global commands and using them for objects as Meshes, Track View, NURBS and some other shortcuts. Alt+W just happens to be a very important global shortcut that is also used for weld target mode for Edit/Editable Mesh. Yes, you have use to Keyboard Override (O) to deactivate those shortcuts. 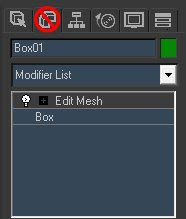 You should delete the shortcut directly in the group: Edit/Editeble Mesh. As default it is set to the Weld Target Mode. Then you don't need to turn off the Keyboard Override button. i'v created my own shortkey in 3ds max. i feel it so good to improve my speed job using 3ds max.. Thanks for the tip... it has always bug me as well. OMG! Years of confusion solved! i have 'spacebar' for 'Keyboard shortcut override toggle'. seems like the most logical choice for easy reach with thumb, and i always thought spacebar was wasted on 'selection lock toggle' which i have never , ever ,never ever seen someone use. Man, you save my computer of destruction, I was about to uninstall this software because of that. This sir is a life saver. I'm sure I've lost hours deselecting and selecting models again to change view ports.